The classic work that shaped the thought of a generation with its powerful insights into the true nature of mind and reality. 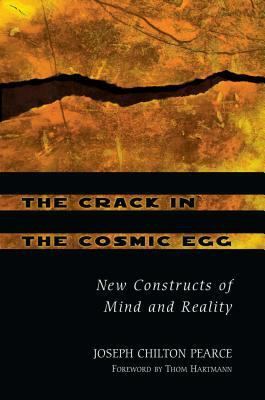 *Defines culture as a "cosmic egg" structured by the mind's drive for logical ordering of its universe. *Provides techniques allowing individuals to break through the vicious circle of logic-based systems to attain expanded ways of creative living and learning. *Revised Edition of the Classic Back in Print. *Foreword by Thom Hartmann.The sum total of our notions of what the world is-and what we perceive its full potential to be-form a shell of rational thought in which we reside. This logical universe creates a vicious circle of reasoning that robs our minds of power and prevents us from reaching our true potential. To step beyond that circle requires a centering and focus that today's society assaults on every level. Through the insights of Teilhard, Tillich, Jung, Jesus, Carlos Castaneda, and others, Joseph Chilton Pearce provides a mode of thinking through which imagination can escape the mundane shell of current construct reality and leap into a new phase of human evolution. This enormously popular New Age classic is finally available again to challenge the assumptions of a new generation of readers and help them develop their potential through new creative modes of thinking. With a masterful synthesis of recent discoveries in physics, biology, and psychology, Pearce reveals the extraordinary relationship of mind and reality and nature's blueprint for a self-transcending humanity.Pearce, Joseph Chilton is the author of 'Crack in the Cosmic Egg New Constructs of Mind and Reality' with ISBN 9780892819942 and ISBN 0892819944. Loading marketplace prices 27 copies from $2.52 How does the rental process work?